(Bloomberg) -- In the MeToo era, financial firms the world over are struggling to handle complaints of sexual harassment. A case in point: HSBC Holdings Plc. Bloomberg News reported in December that de Roux left after misconduct allegations. The bank said at that time that it dealt with this case “directly, robustly and appropriately.’’ The bank wouldn’t comment about the compensation terms under which de Roux left. The night of the alleged incident last May, de Roux briefly attended drinks in New York to celebrate the promotions of several executives, the people said. He returned to HSBC’s office, where he invited the female employee to dinner, according to people with knowledge of the woman’s account who requested anonymity discussing personnel matters. During the dinner at Ai Fiori restaurant, the woman was subject to alleged unwanted touching of her legs and hands, the people said. De Roux repeatedly asked her to meet again, according to the people. The woman, an American who joined the bank as an analyst in 2016 and helped make arrangements for de Roux in New York, wasn’t a direct subordinate of his. The day after the alleged event, de Roux called her several times, asking her to bring documents to his office, the people said. Instead, she talked to a senior manager about the uncomfortable situation and left the office, according to the people. The senior manager escalated the issue to the human resources department, which then interviewed the woman, according to the people. The human resources unit had informed her it would conduct an investigation, according to an email seen by Bloomberg News and sent by the female employee to senior executives including Samir Assaf, CEO of global banking and markets, Patrick Burke, HSBC’s U.S. CEO, and Stuart Levey, chief legal officer at the bank. In the email to HSBC, the woman accused the bank of trying to protect de Roux. “Instead of information and action, I have been provided with a stream of excuses meant to minimize and justify his inappropriate behavior,” she wrote. The woman wasn’t informed about the progress of the investigation, the people said. 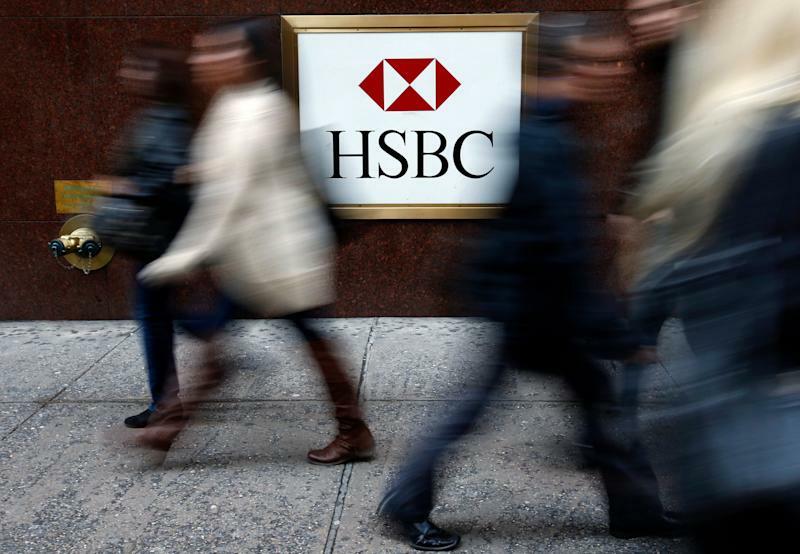 It’s not clear whether HSBC held a formal disciplinary hearing. A process of this kind is more serious than an investigation, and it usually results in a decision that can range from no consequences to dismissal, according to U.K. employment rules. For “conscious or sustained behavior that results in instances of bullying, harassment or discrimination,” HSBC’s policy foresees termination or dismissal, according to internal documents seen by Bloomberg News. HSBC reported the allegations to the U.K. Financial Conduct Authority, according to a person familiar with the matter. The FCA declined to comment.